Your property only gets one chance to make a good first impression. 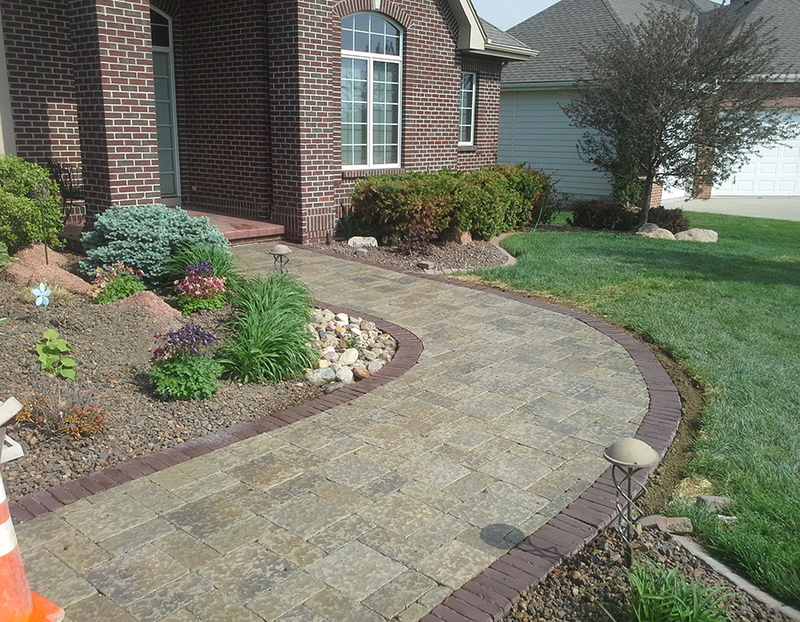 If your lawn and yard could use some work, a qualified landscaper from Shadetree Lawn and Landscape can help. 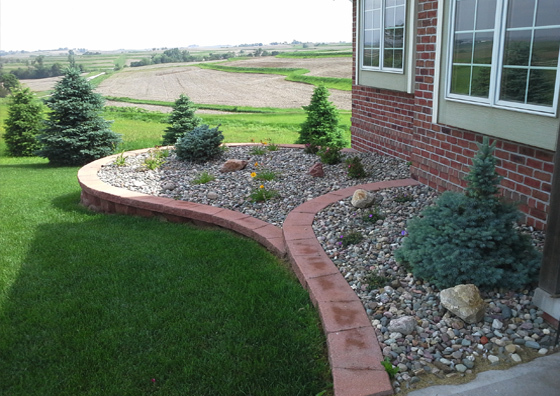 As a premier landscaping service in the Omaha, Council Bluffs, Glenwood and Metro area, our goal is to transform your property's exterior and provide the maintenance necessary to keep it looking its best. We have also added structures, such as arches and pergolas, to lend beauty and elegance to our customers' outdoor areas. 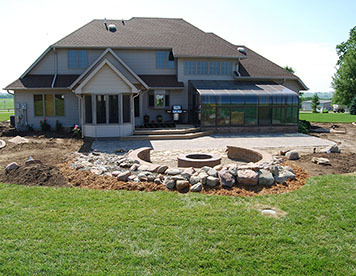 Shadetree Lawn and Landscape offers the services of an ICPI-certified landscaper to homeowners throughout the Omaha, Council Bluffs, Glenwood and Metro area. As a fully licensed and insured business, you can trust in our services and be confident you're getting top-quality workmanship. Call us today and take advantage of the first free consultation we’ll give you. 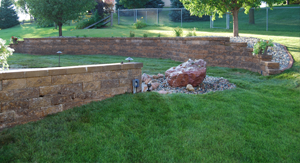 Not only do retaining walls help make your yard look amazing but they also provide improved water drainage to prevent erosion and make more space available for your enjoyment! 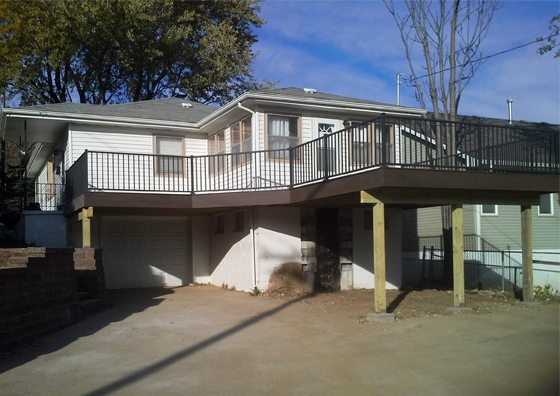 Does your backyard need some additional structural support? 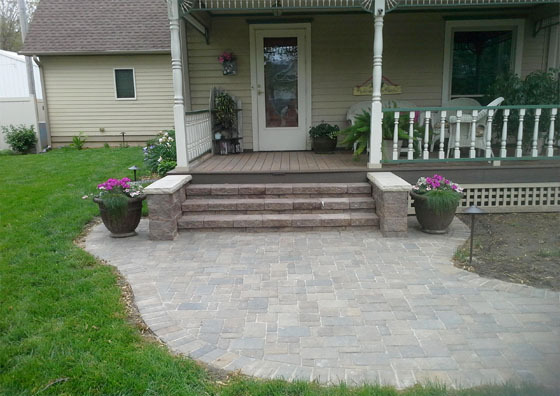 Are you looking for a way to improve the appearance of your property's exterior? At Shadetree Lawn and Landscape, we're proud to offer decorative and functional retaining walls for commercial and residential clients alike. 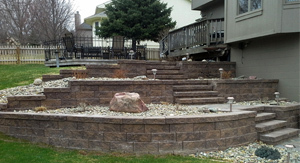 No matter the size or setup of your exterior, we'll be happy to construct a retaining wall to best meet your needs. 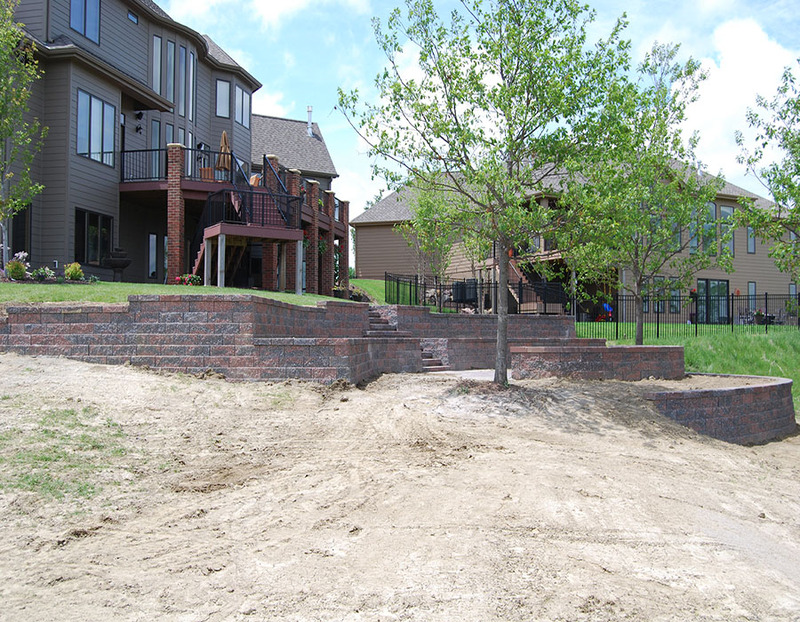 At Shadetree Lawn and Landscape, we make it our business to use only the highest quality materials when constructing our retaining walls. 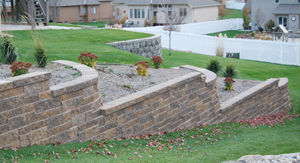 We understand that a retaining wall can be a significant investment, so we'll take the time to walk you through your options and help you select the material and style that's right for you. No matter the size or scope of the job at hand, we pledge to complete it in a timely fashion; and we go out of our way to offer exceptional service every step of the way. 98 percent of the block we use is Versa-Lok. It is the most flexible block available and allows for better design decisions. 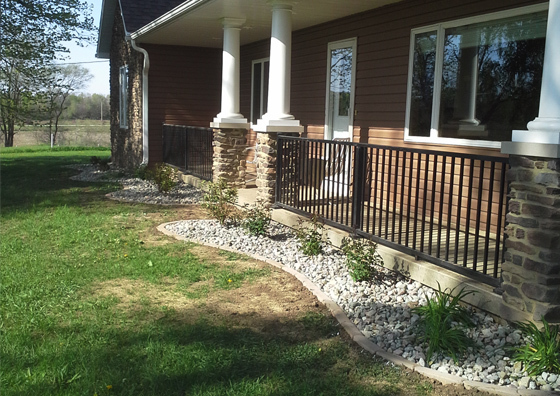 Curves, corners, columns, stairs and freestanding walls are easily built using Versa-Lok. For areas where terraced walls will work better than one big wall and give you plenty of room for planting between them. 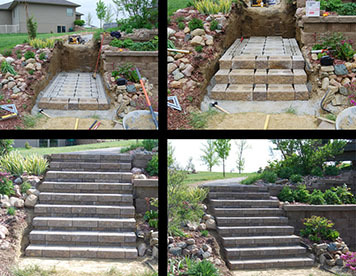 For hills the stepped wall works great to define your property and give you more functional space. When we met Roger we were instantly impressed with his eye for design. We had gathered ideas over the course of several years for a pergola and Roger took those thoughts and built on them. He and his team created a pergola that provides much needed shade for our back yard, a place for family and friends to gather and an overall beautiful addition to our home. The lighting he incorporated into the design adds an element of ambiance and relaxation. 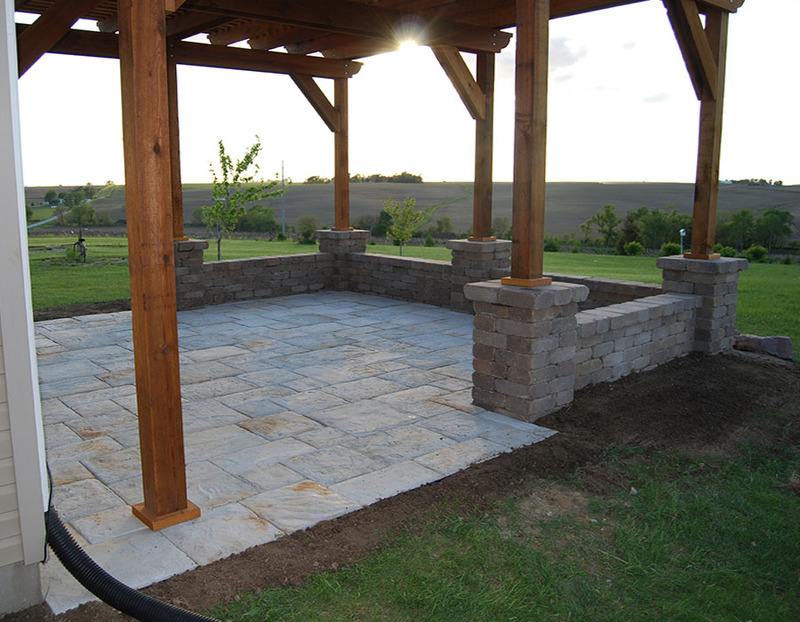 We couldn’t be happier with our pergola and wholeheartedly would recommend Shadetree Lawn & Landscape. 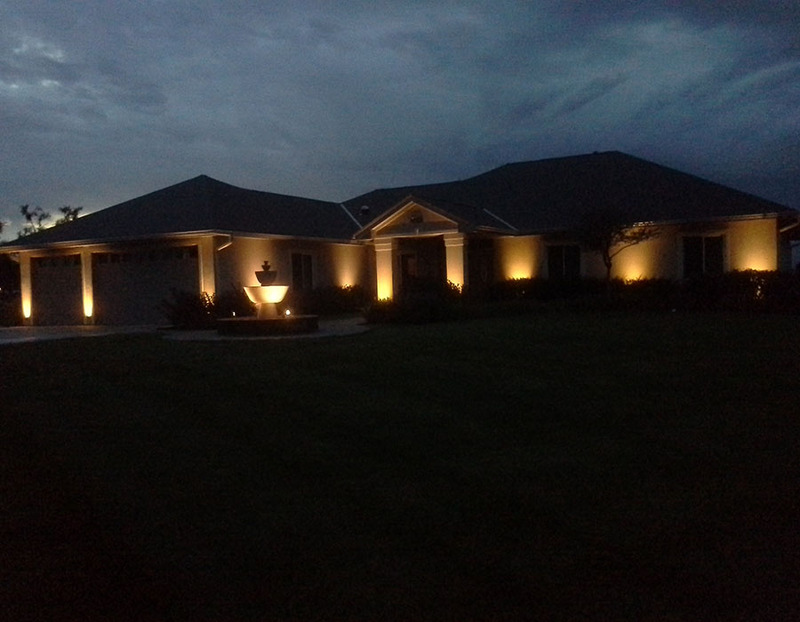 I want to give my highest endorsement to Roger Meier and Shadetree Lawn and Landscaping. 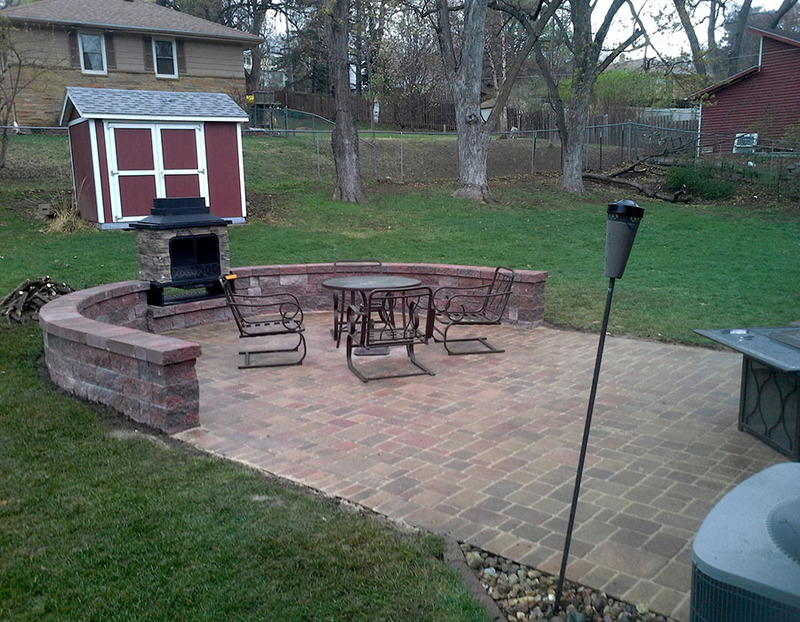 Roger's team did a great job doing a complete remake of our backyard. They put in a new stone retaining wall along with a new stone patio. 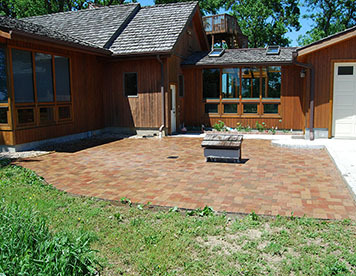 The patio is very unique and is always an instant hit with anyone that sees that. Roger takes the time to listen to what you want and then comes up plans that will make your backyard your favorite destination. You can count on Roger to deliver what you want! I will certainly be contacting him for any future needs we have. 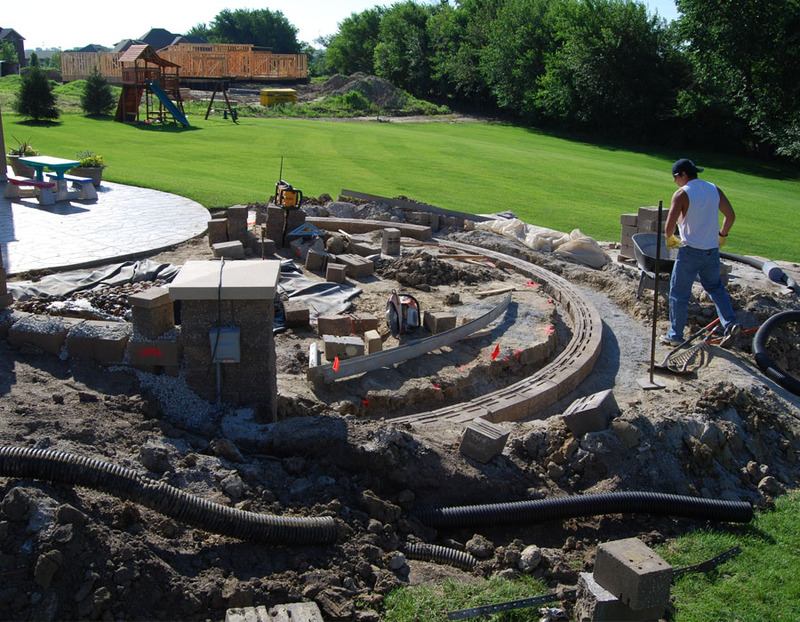 Shadetree Lawn and Landscaping will exceed your expectations with their expertise, attention to detail, friendly approach and dependability. They will design professional and gorgeous landscapes appropriate to the site and in tune with the owner's ideas. Roger provides comprehensive services and performs those services with style and ease. His vast experience allows him to work with many palette styles that compliment the architecture and make the transition from indoor to outdoor spaces seamless. His creativity touches every decision in the design, making for a truly memorable experience. From picking the plants to trees, stones to concrete, soft walking surfaces to hard, every corner of the garden becomes an enchanting discovery of nature to enhance your lives. 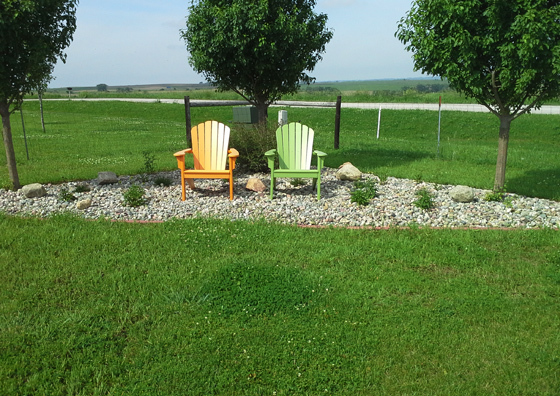 Byron and I would highly recommend Shaedetree Lawn and Landscaping for your landscape design needs. Thanks again, Roger, for completing our job in a timely and professional manner. Please feel free to use us as a reference for future jobs of this nature. 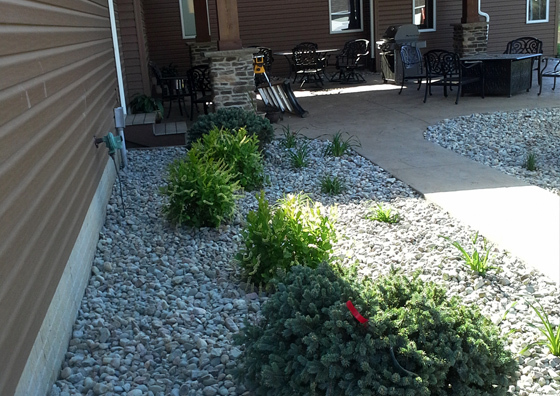 Thank you for all your hard work and for the great job you did on our lanscaping project. It looks great and you made our dreams come true. We are very pleased with your work and would not hesitate to recommend you to others. Thank you again, best wishes to you and keep up the good work! 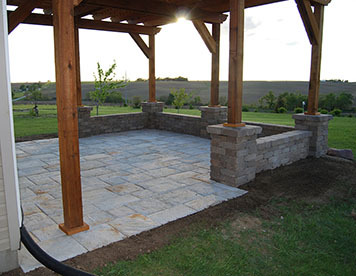 Your home's exterior says a lot about it, so if you're currently missing a patio, now's the time to call Shadetree Lawn and Landscape. 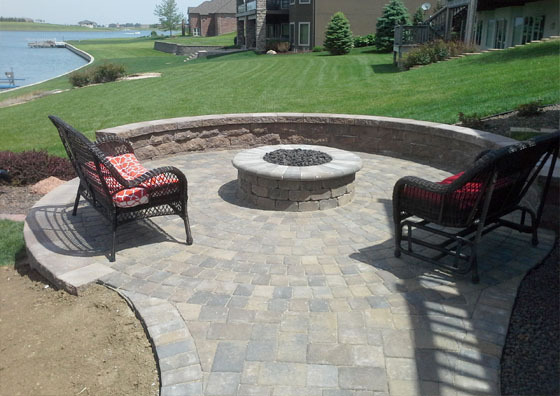 Raised patio with fire pit. As an experienced patio contractor in Omaha, Council Bluffs, Glenwood and Metro area, Shadetree Lawn and Landscape has the tools and expertise necessary to install your new front or back patio according to your specifications. 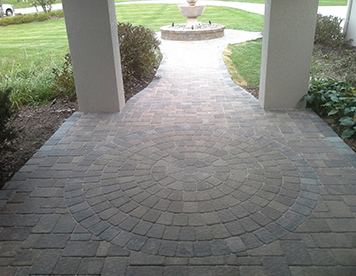 Whether you're looking for high-end pavers or a basic design, we have an option that will work for you. Not sure what you're looking for? That's okay. 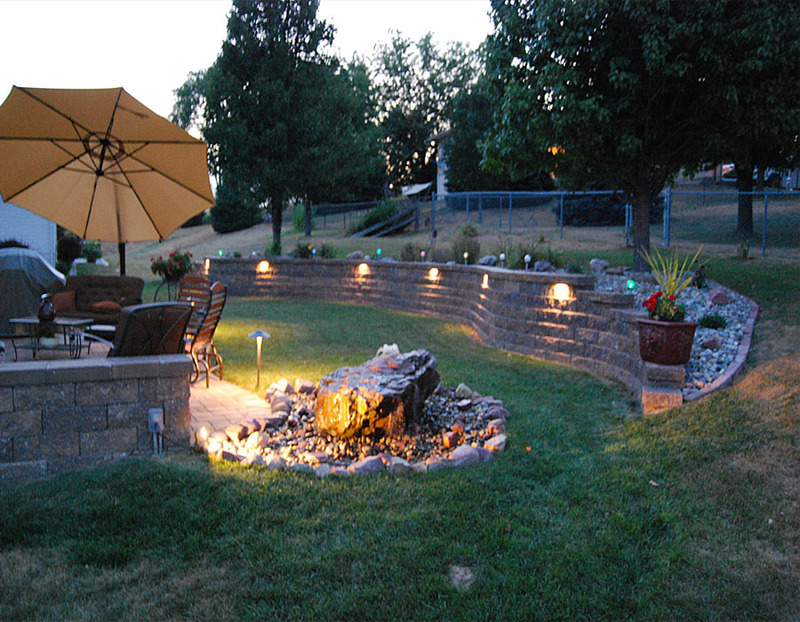 At Shadetree Lawn and Landscape, one of our contractors will be happy to meet with you to review your options. 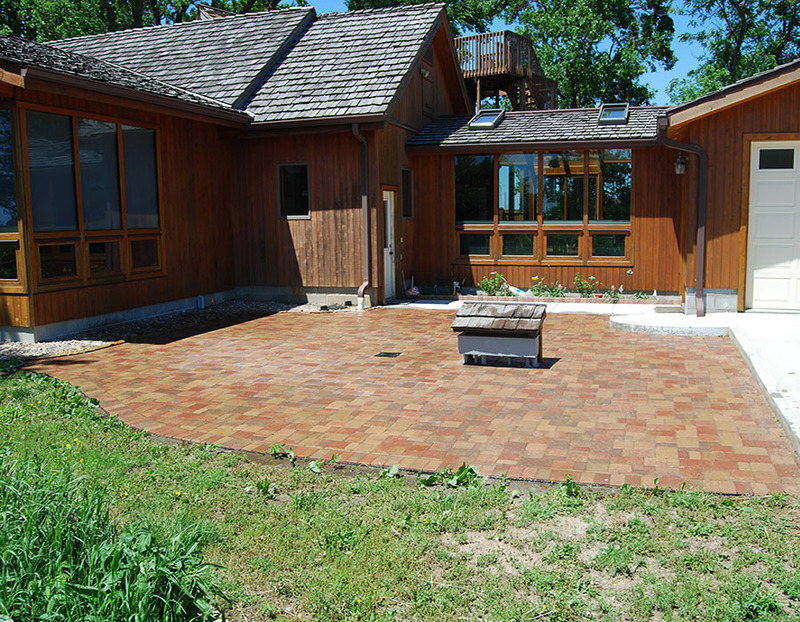 We can help you select the ideal patio size, shape, and materials to ensure that it fits nicely with your home, all the while keeping your budget and aesthetic preferences in mind. 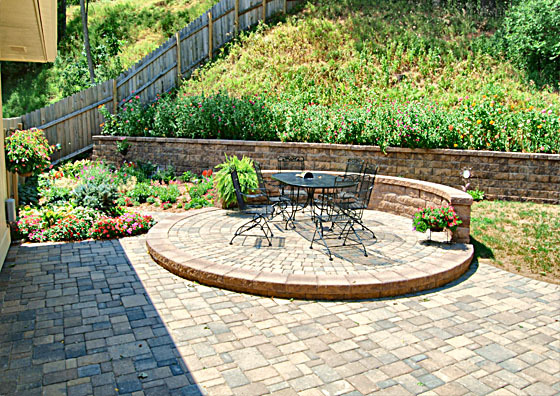 Improve the value of your property with a brand new patio from Shadetree Lawn and Landscape. 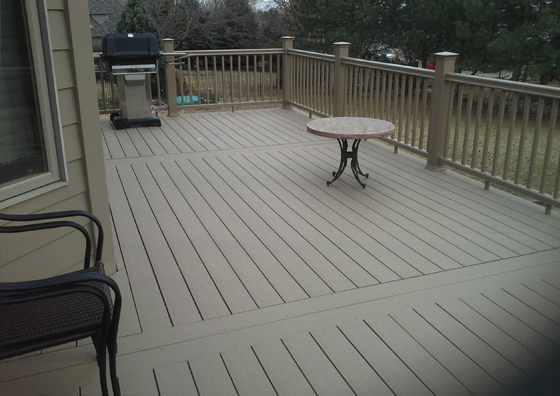 For more information or to schedule an estimate, call us today. 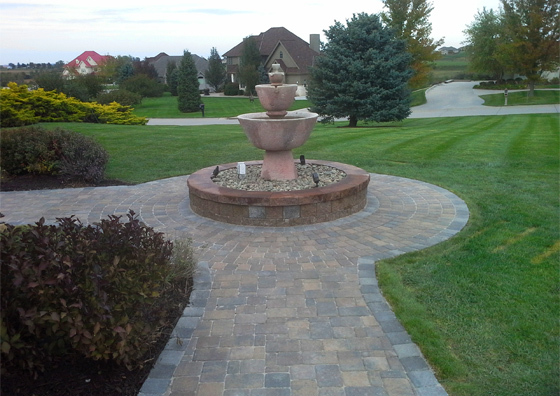 Willow Creek harvest blend paver walkway. 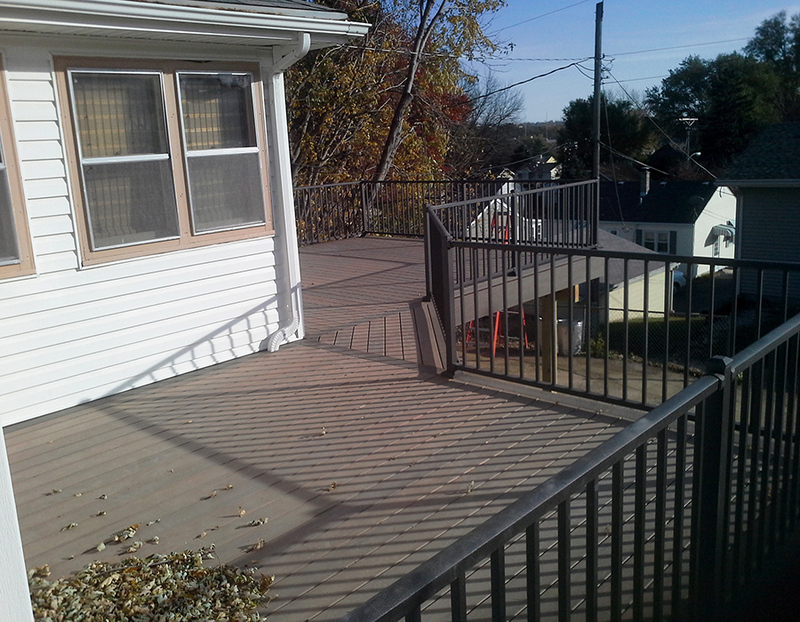 Raised TimberTech deck with Westbury aluminum hand rails. New patio and seat wall going in. We took an unusable backyard and made it usable. 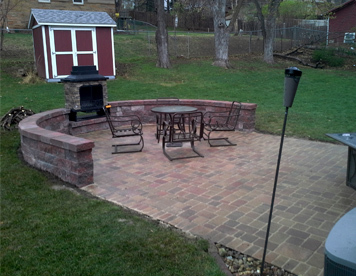 New patio with seat wall. 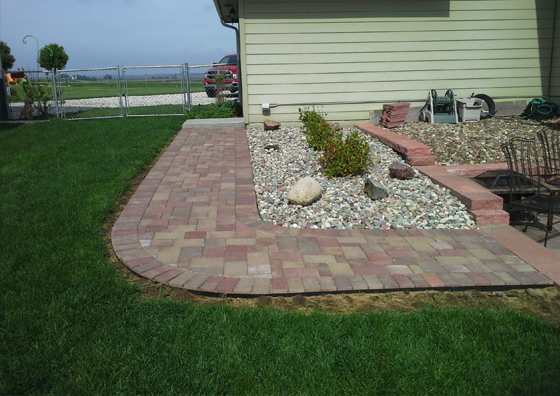 New paver walkway replacing stamped concrete. 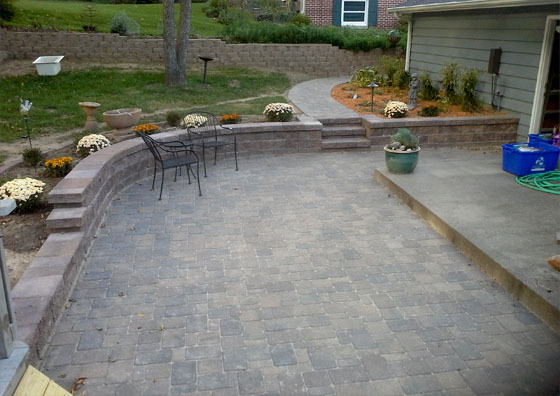 Call us today to find out what we can do for you and your outdoor living space! Call Roger at the number below or shoot him an email.